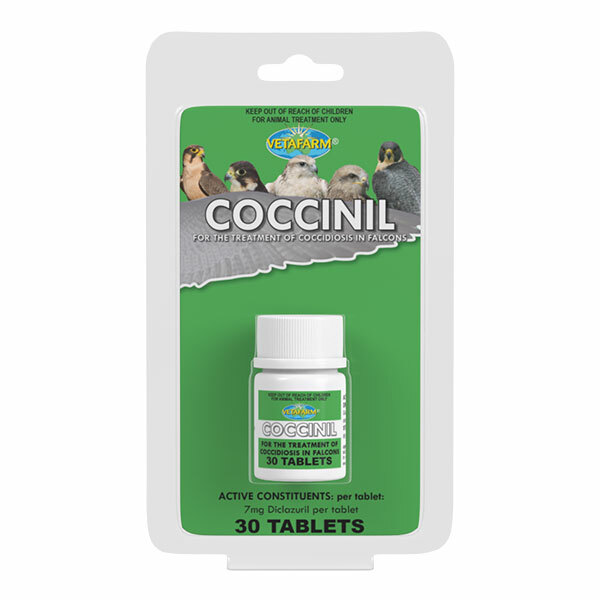 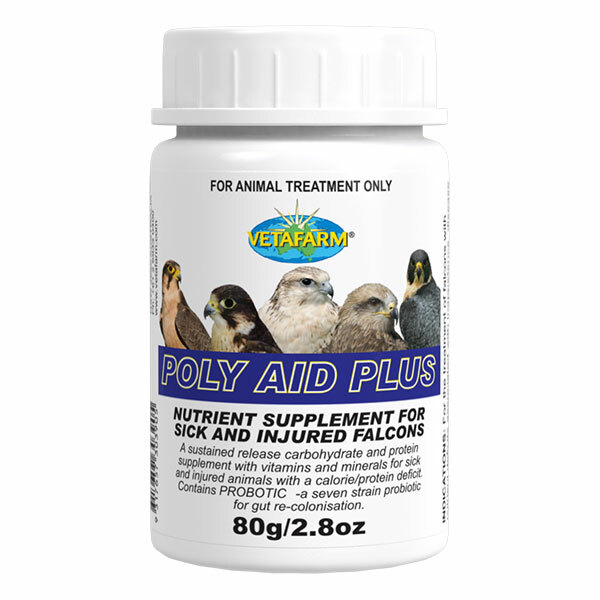 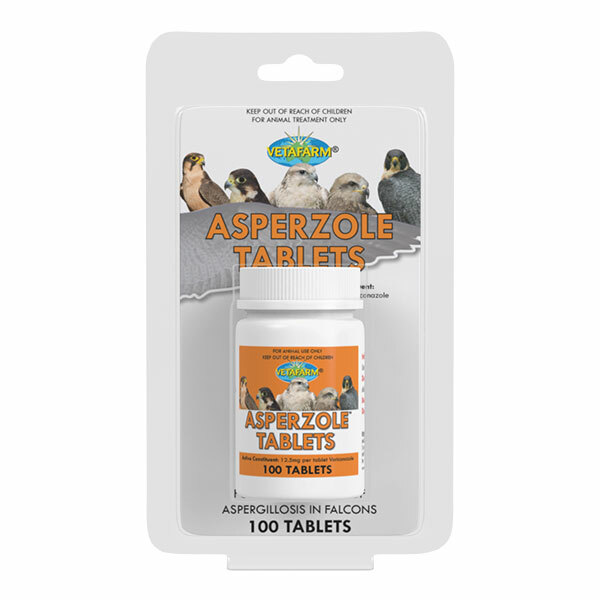 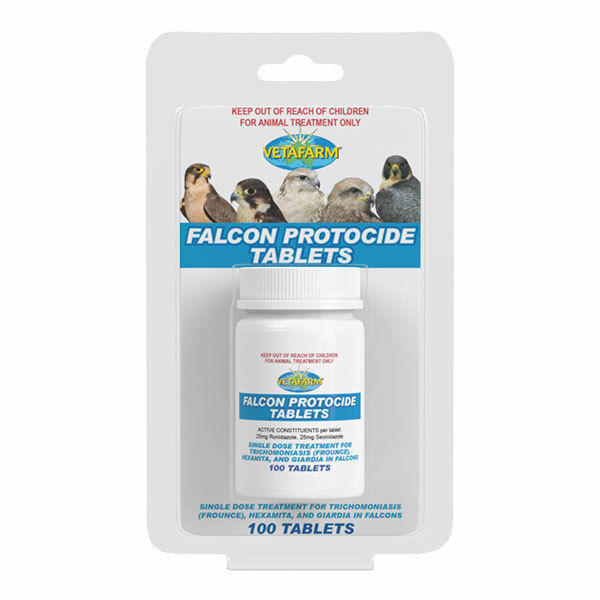 Oral tablets for the treatment of coccidiosis in falcons. 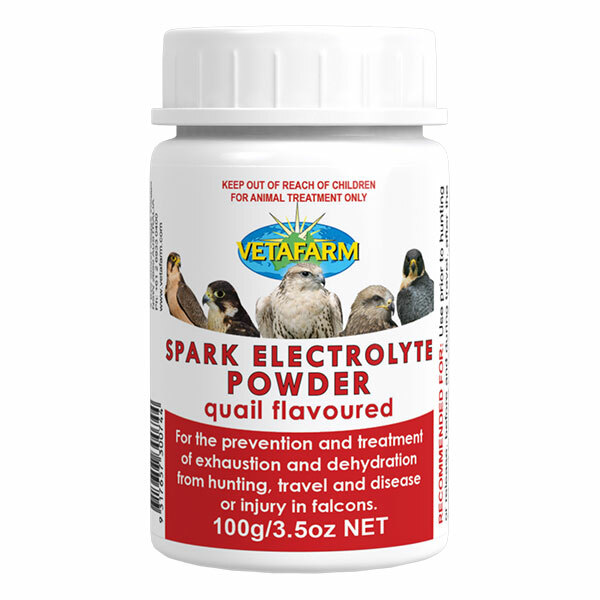 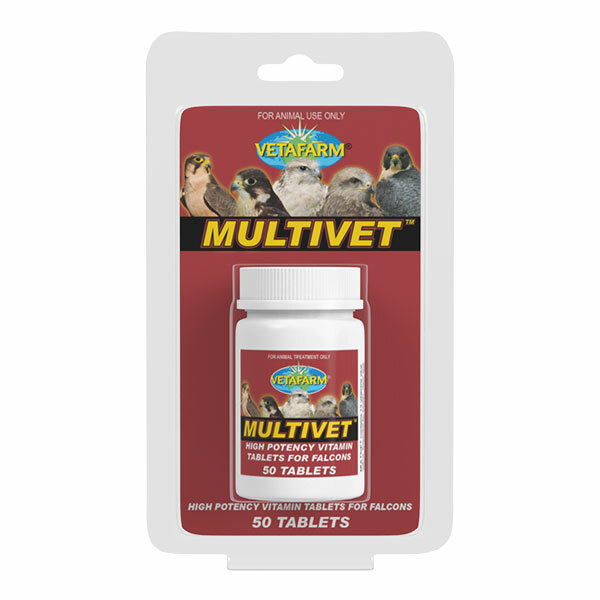 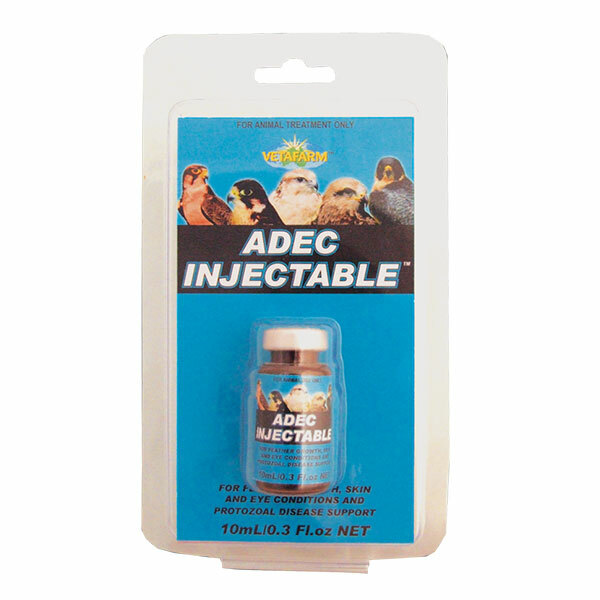 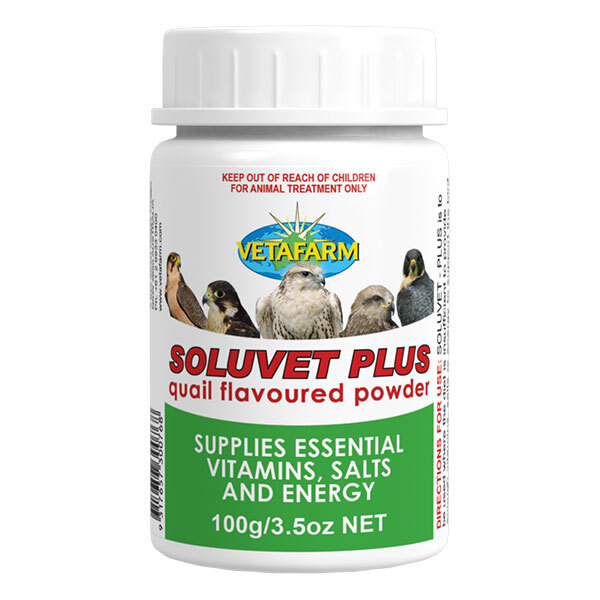 A quail flavoured vitamin, trace mineral and amino acid supplement to aid moulting in falcons. 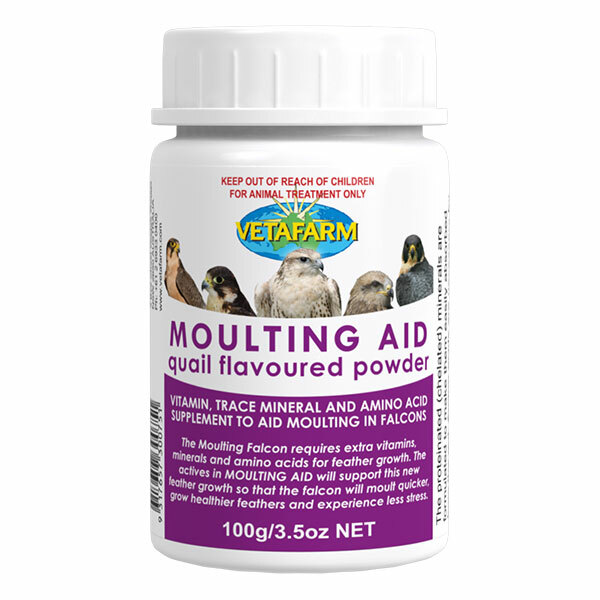 The moulting falcon requires extra vitamins, minerals and amino acids for feather growth, the actives in Moulting Aid will support this new feather growth so that the falcon will moult faster, grow healthier feathers and experience less stress. 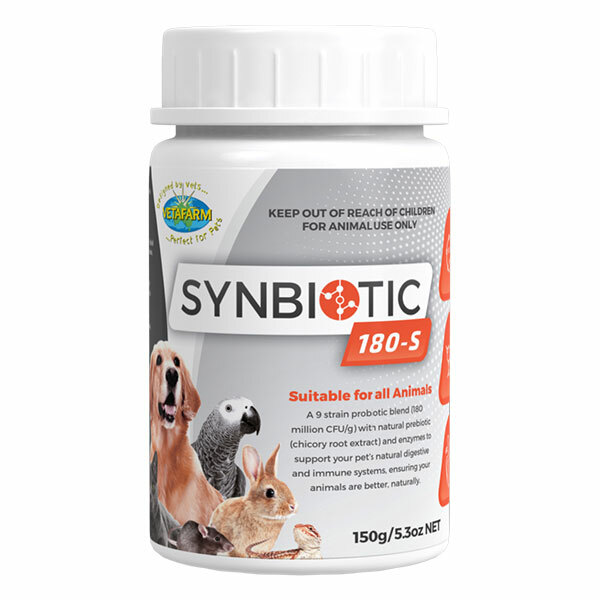 The proteinated minerals have been formulated to make them easily absorbed from the gut. 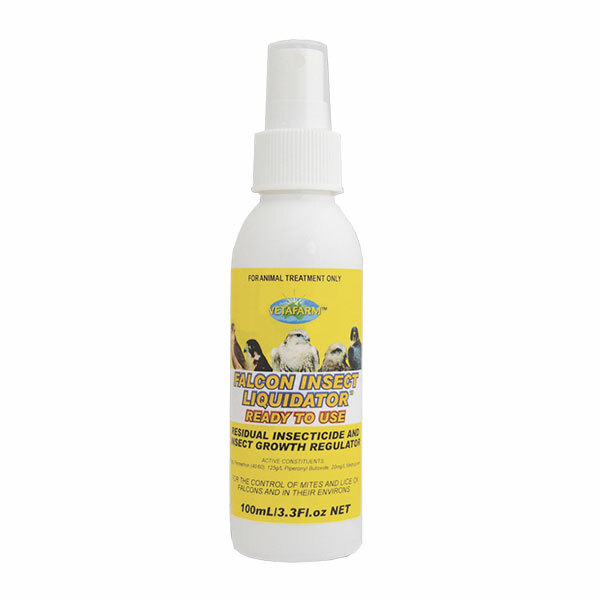 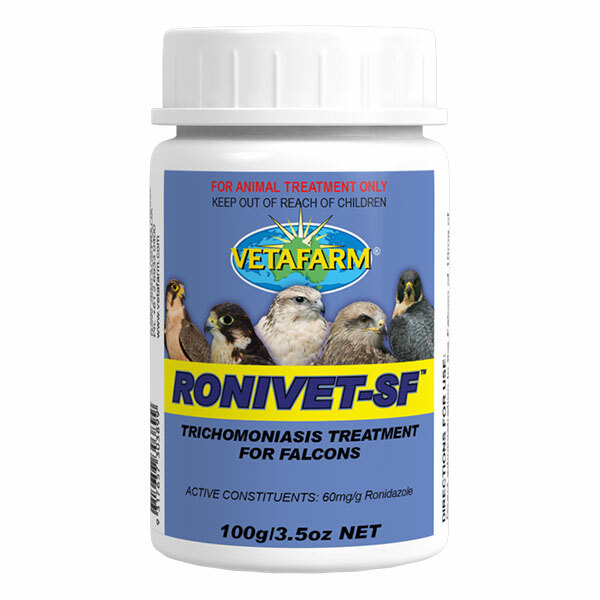 For the treatment of Protozoal infections in falcons (Trichomoniasis (frounce), Hexamita, and Giardia). 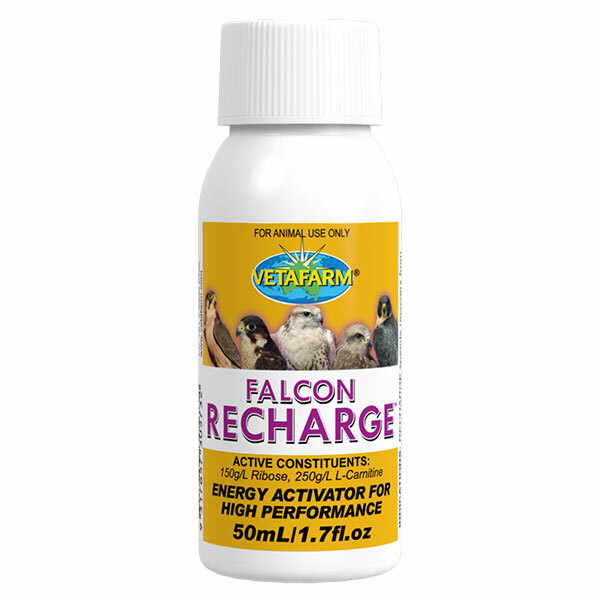 Recharge speeds recovery from hunting and prevents muscle damage. 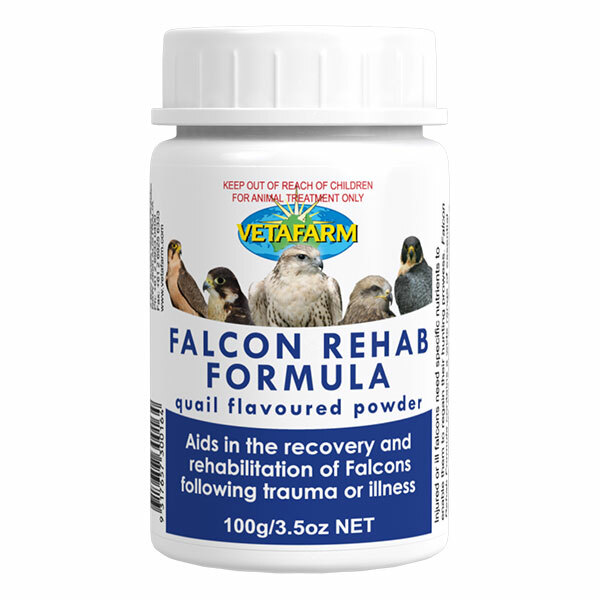 Rehab Powder aids in the recovery and rehabilitation of falcons following trauma or illness. 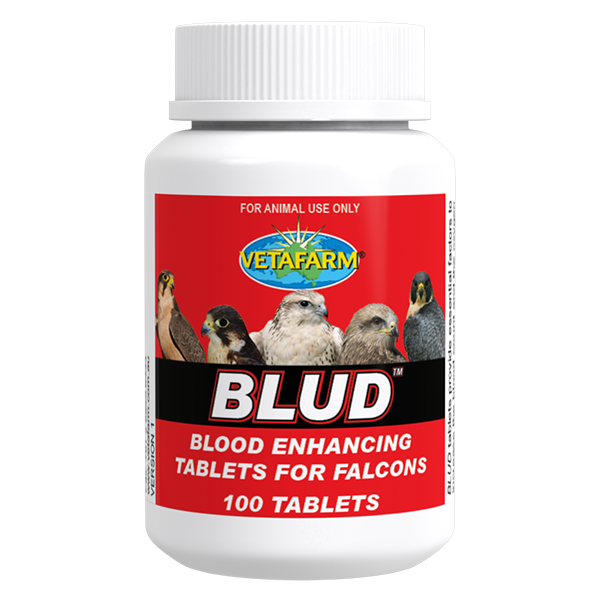 This includes Bumblefoot, Jess or fighting injuries, Trichomoniasis, Aspergillosis, bacterial infections, post surgery recovery or even after a strenuous hunting expedition. 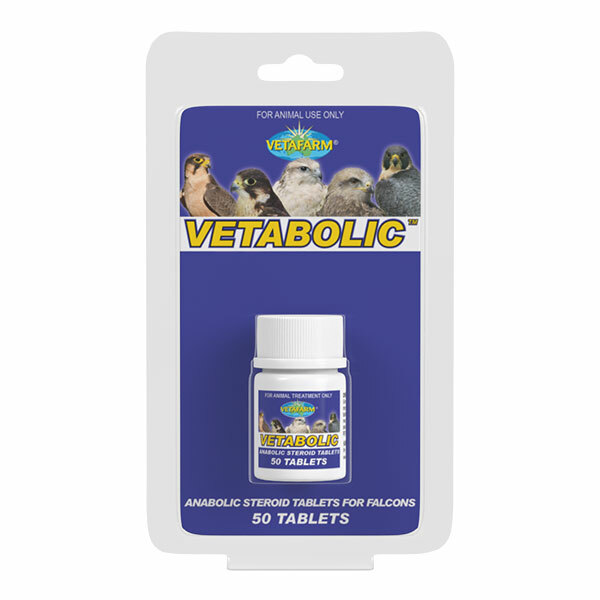 Vetabolic Tablets contain a blend of anabolic and androgenic hormones selected to promote the health and vigour of hunting birds. 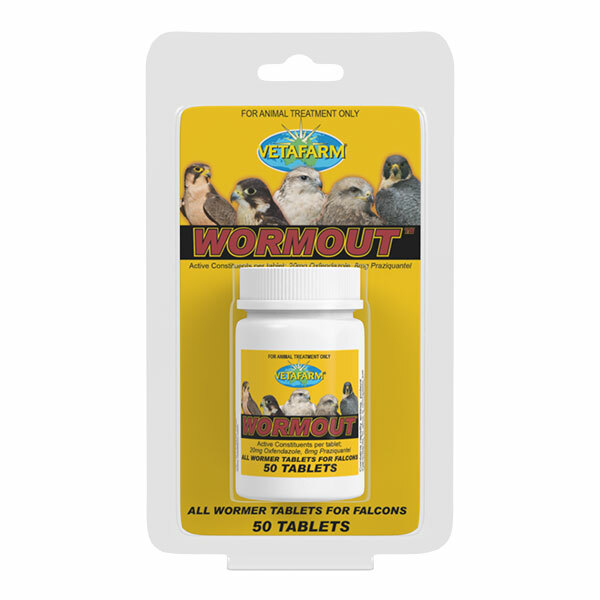 Wormout Tablets treat roundworms, hookworms, and tapeworms. Wormout Tablets are easy to use and provide an accurate dose for birds.